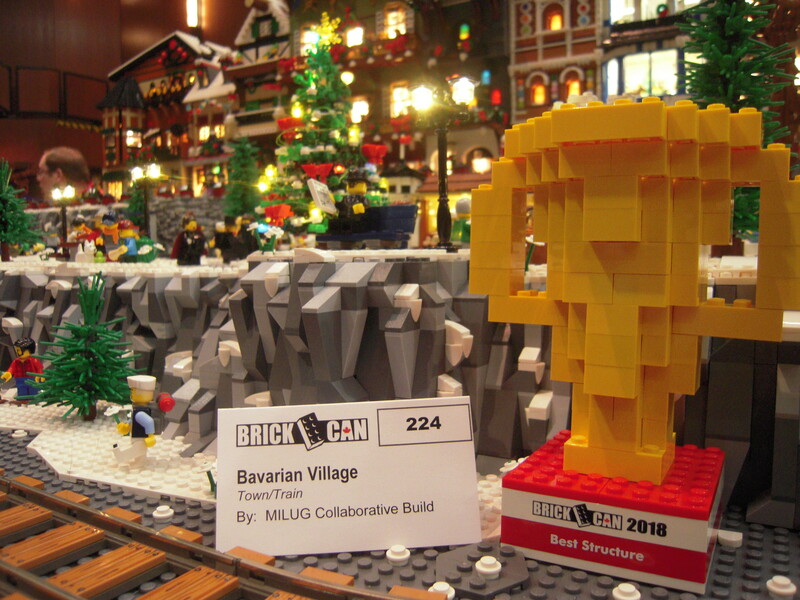 MILUG not only had more members attend BrickCan 2018 than ever before but we also came home with more hardware than ever before – 4 trophies and a 3rd place finish in the team speed build! MILUG brought home one trophy in 2016 (Krista Simpson, 1948 Ford Woody), two in 2017 (Michael Thomas, Maple Sugar Shack; Fallout Shelter, AFOL collaboration), and took home first place in the 2017 master build competition (Michael Thomas). In addition to the MILUG collaborative Bavarian Village taking home the award for Best Structure in the Architecture category, MILUG members also won in three other categories. 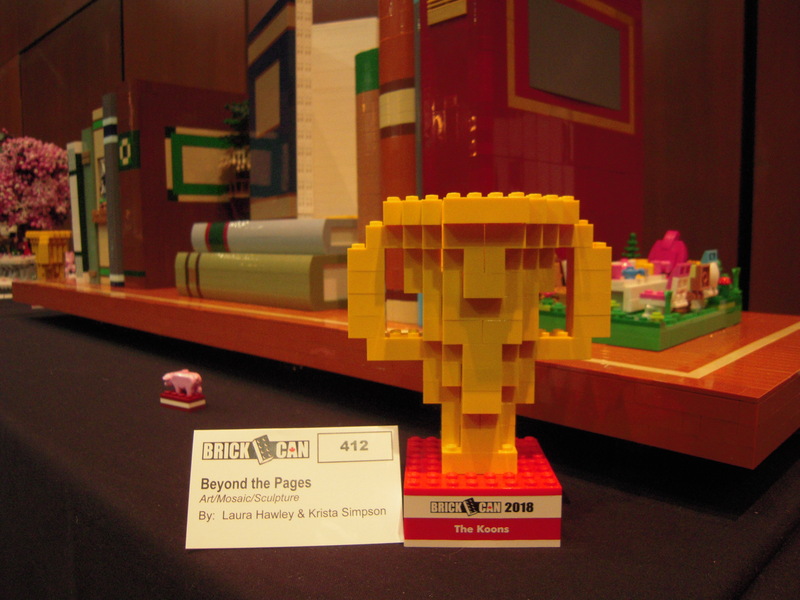 Laura Hawley and Krista Simpson won The Koons award in the Art category for their joint build Beyond the Pages. This 5 foot wide bookshelf showed scenes from various classic books spilling out of their pages. While most books seemed relatively easy for people to guess, one of the books proved rather challenging. Krista Simpson also took home two individual awards. 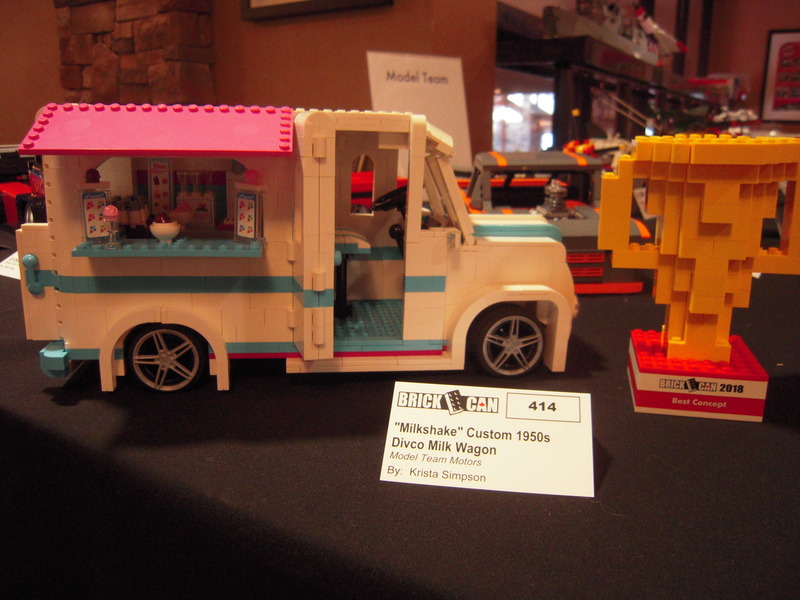 She won Best Concept in the Model Team category (planes, trains and automobiles) for “Milkshake”, a custom 1950s Divco milk wagon that was transformed into an ice cream truck. Krista also won the Atomic Architect award in the Fallout Shelter category for her Supervillain Funhouse. 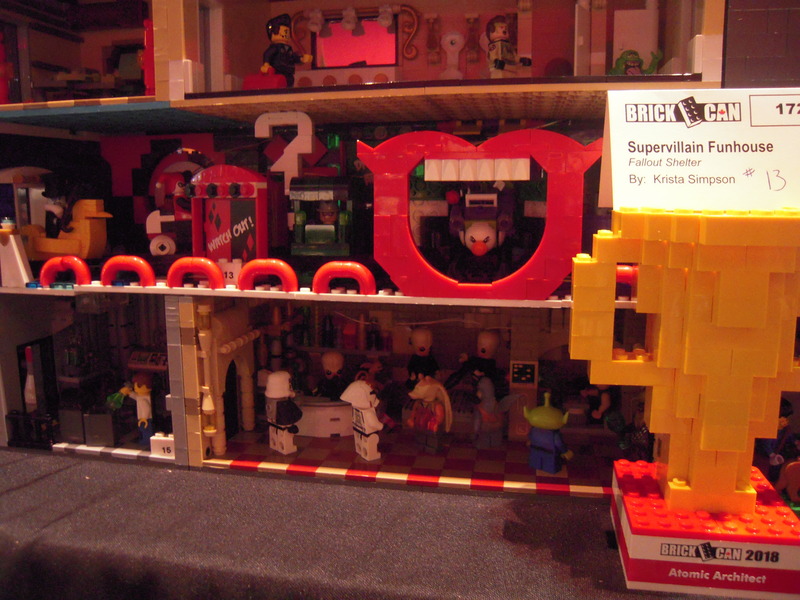 The Fallout Shelter is a collaborative build open to all BrickCan convention attendees. 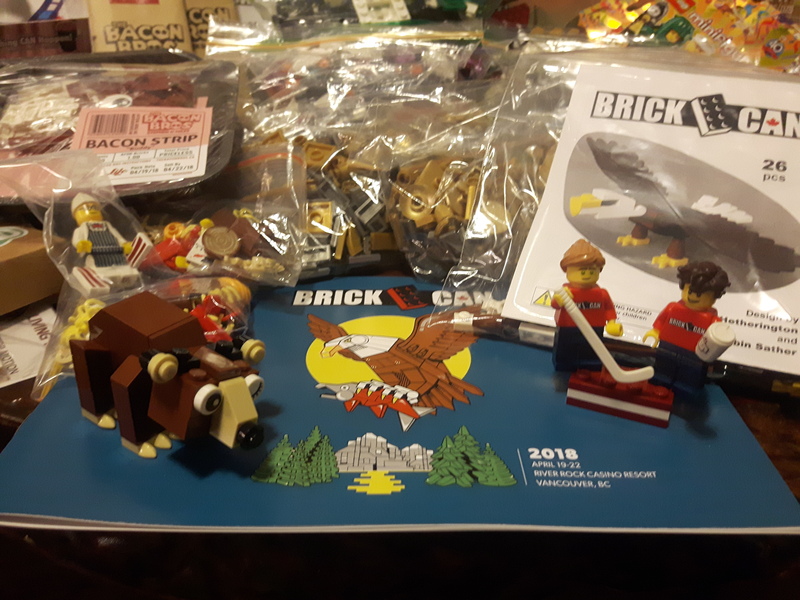 Five MILUG members also entered the Team Speed Build as team Brats & Beers (a reference to bratwurst and the Bavarian Village). The speed build set is not revealed until right before the clock starts ticking and there is much anticipation to see what it will be. This year’s set was the NASA Apollo Saturn V! 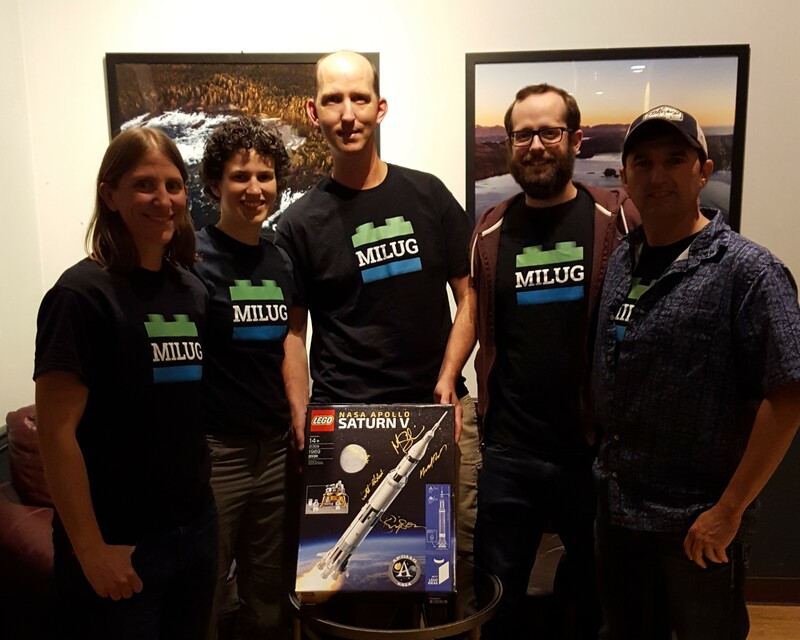 The competition was fierce as MILUG, which only turned 2 at BrickCan 2018, went up against some very experienced teams. Despite being the new kids on the block MILUG came in an impressive 3rd place! MILUG members also participated in a variety of other build challenges including the individual speed build, random team speed, standing build, mitten build, bag build, and the master build. And everyone goes home a winner as you get to keep the set that you built! Previous story MILUG 2018 Events – We’ve Been Busy!